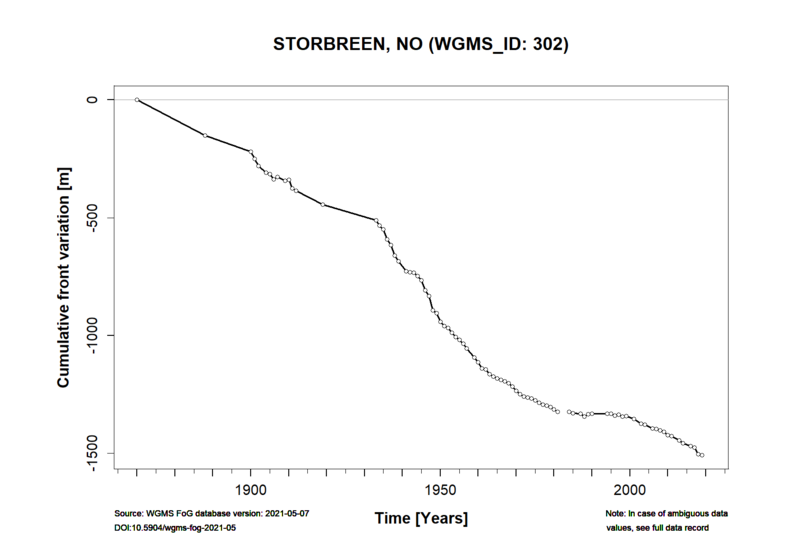 Storbreen (61°36′ N, 8°8′ E) (now written with an -an ending on official maps: Storbrean) is situated in the western part of Jotunheimen, a mountain area in southern Norway. The glacier has a total area of 5.1 km² (2009). 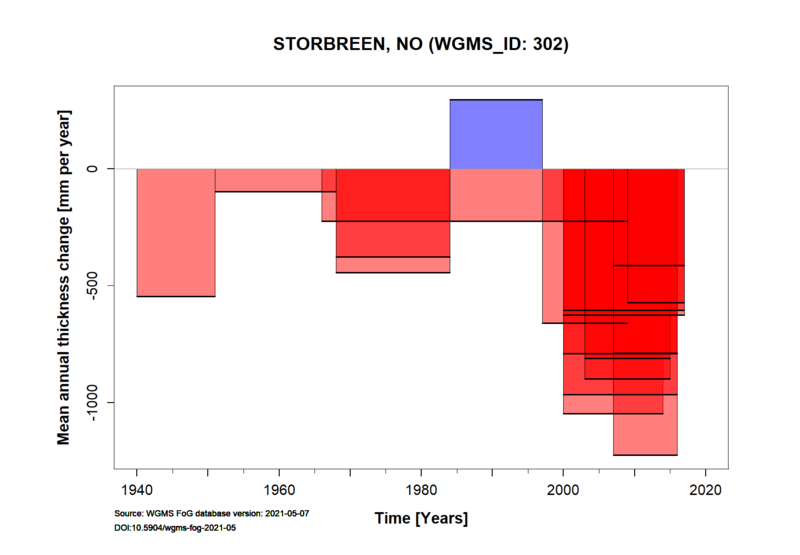 Glaciological investigations include mass balance observations since 1949 and glacier length change measurements since 1902. 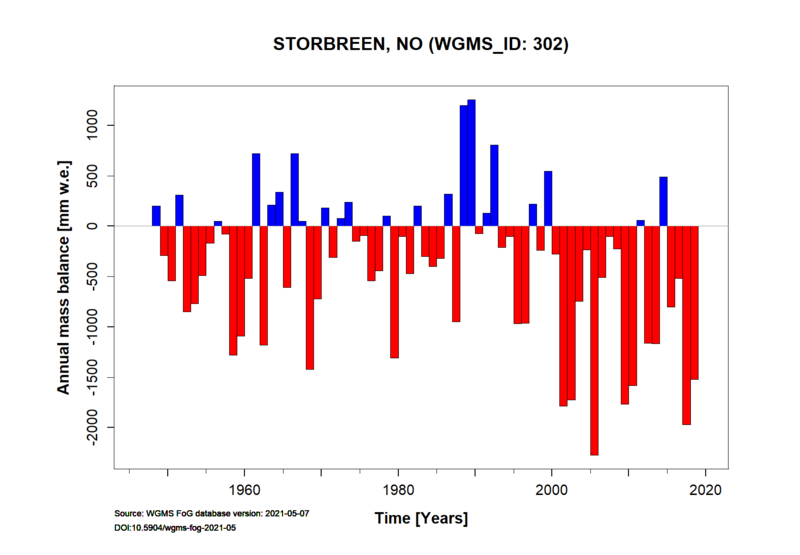 Further information and references for Storbreen is given on NVE’s webpage. Height min: 1400 m a.s.l. Height max: 2102 m a.s.l.